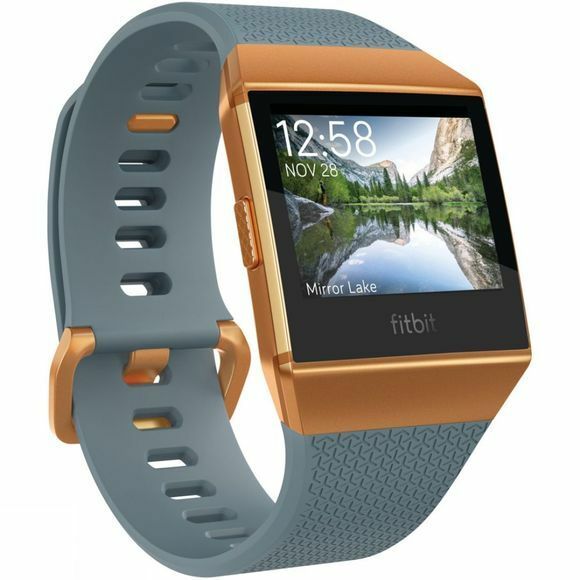 Get serious about your health and fitness with the Fitbit Ionic Watch. 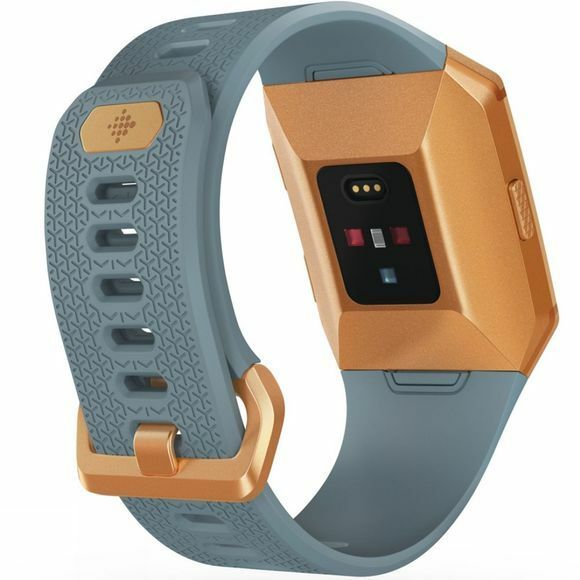 A great way to get personalised dynamic workouts straight from your wrist as well as being able to track the data that you need to analyse and improve your performance. The SmartTrack will automatically recognise and record selected workouts including running, biking and swimming as well as automatically tracking your sleeping patterns so you can see exactly what helps you have a great night sleep as well as what doesn't. The post workout summaries will allow you to see what you have done and show you how you have improved, while the built-in GPS and GLONASS support allows you to see pace, distance, elevation climbed and a map of your route. You can also store and play your favourite music that will help you stay motivated and push your boundries. Smartphone notifications means you never miss another call or text mid-workout and the NFC chip allows contactless payments straight from your wrist.